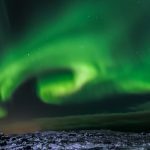 This is a classic circle tour around Iceland, including all the major sights of interest along the ring road with the addition of the Snaefellsnes peninsula. Highlights include the Golden Circle, Jokulsarlon Glacial Lagoon, Lake Myvatn and Dettifoss waterfall just to name a few. This tour is a best-seller for a good reason: traveling at an even pace gives you the chance to enjoy the serenity of Icelandic nature and having plenty of options each day to fit your own interests. Upon arrival in Iceland. Pick up the rental car at Keflavik international airport and drive to your accommodation in Reykjavik. Today you will start the drive around the country by visiting three of Iceland’s best known sights in the Golden Circle: Thingvellir national park, the site of the first parliament, a UNESCO World Heritage site and a place of great geological interest; the Geysir geothermal area with where the geyser Strokkur spouts a column of water into the air every 5-10 minutes and the Gullfoss waterfall which drops in two cascades deep into the deep gorge of Hvita glacial river. Continue towards the southern coast and end the day in the area of Hvolsvollur. Now you will drive east along the south coast of Iceland with a chance to stop at the waterfalls of Seljalandsfoss and Skogafoss. Driving along the Eyjafjoll mountains, there are excellent views of Eyjafjallajokull glacier under which rests the infamous volcano of the same name that caused disruption in air traffic all over Europe in 2010. From there continuing east where you can stop for a short walk at Reynisfjara black beach with a view of the cliffs of Dyrholaey. Drive on to the village of Vik with its black sandy beach stretching as far as the eye can see, with impressive views of the Reynisdrangar cliffs rising out of the ocean. Continue across the sand and moss-covered lava fields towards Kirkjubaejarklaustur. Tonights accommodation will be in this area. The drive to Skaftafell national park crosses the volcanic sands of glacier rivers. Skaftafell is a green oasis surrounded by glacial outlets where you can take a walk through the park to Svartifoss waterfall or go on a glacier hike. Driving further east along the ring road with a view of Iceland’s largest glacier Vatnajokull will bring you to Jokulsarlon glacier lagoon where you can take an optional amphibian boat tour among the icebergs. If you get lucky, you might spot a seal near the shore of the so-called „Diamond Beach“ or in the lagoon itself. From there drive further towards Hofn and continue along the Eastfjords towards Djupivogur/Breiddalsvik for the next overnight. Drive further along the Eastfjords to Egilsstaðir – the largest village in East Iceland. The route then passes through the green Jokuldalur valley with numerous waterfalls dropping from the top of the hills alongside the road and from there you cross the desert land of Modrudalsoraefi. Take the road to Dettifoss, Europe’s most powerful waterfall in the gorge of Jokulsargljufur national park and continue north towards Asbyrgi – the horseshoe-shaped canyon. Finally, drive around the Tjornes peninsula to Husavik for the next overnight. We recommend starting by visiting either the Whale Center or the Exploration museum in the morning or going on a whale watching tour. Then start the drive to Lake Myvatn where you spend the day exploring the numerous natural wonders of the Myvatn volcanic area with several options for short hikes and a chance to take a relaxing bath in the Nature Baths geothermal lagoon. Late afternoon drive to Godafoss waterfall, then crossing the Vikurskard mountain pass and along the eastern coastal road in Eyjafjordur towards Akureyri where you stay overnight. Drive north along the western coastal road of Eyjafjordur with panoramas of the alpine landscape with high mountains, glacial valleys, and Hrisey Island. Driving through Dalvik, Olafsfjordur and three tunnels, we reach the charming fishing village of Siglufjordur where we recommend a visit to the award-winning Herring Era museum. Continue to Skagafjordur with views of the Islands of Malmey, Drangey, then to Blonduos and further south along the fjords and across the Holtavorduheidi heath towards Borgarfjordur. Tonights accommodation is in the Borgarfjordur area. Drive to one of the most beautiful parts of Iceland, the Snaefellsnes peninsula. Here we can observe most of the natural phenomena that can be found around Iceland – only on a much smaller scale: lava fields, volcanic craters, Snaefellsjokull glacier, waterfalls, sandy beaches, charming fishing towns, bird cliffs and more. One of the landmarks you pass is Mt. Kirkjufell – one of the most photographed mountains in Iceland; another spot not to be missed is Arnarstapi. From Snaefellsnes continue through Borgarnes and via Hvalfjordur submarine tunnel to Reykjavik for overnight. Drive to Keflavik airport in time for check-in for your international flight. If your flight departs late afternoon, you have the chance to add an optional whale watching boat tour in the morning, drive around the Reykjanes peninsula or visit the Blue Lagoon before dropping off the rental car at Keflavik airport.